Today’s card is Base Set Charizard. 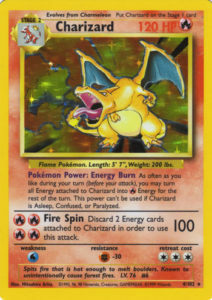 Charizard is depicted using its legendary Fire Spin attack, printed in glorious holofoil. 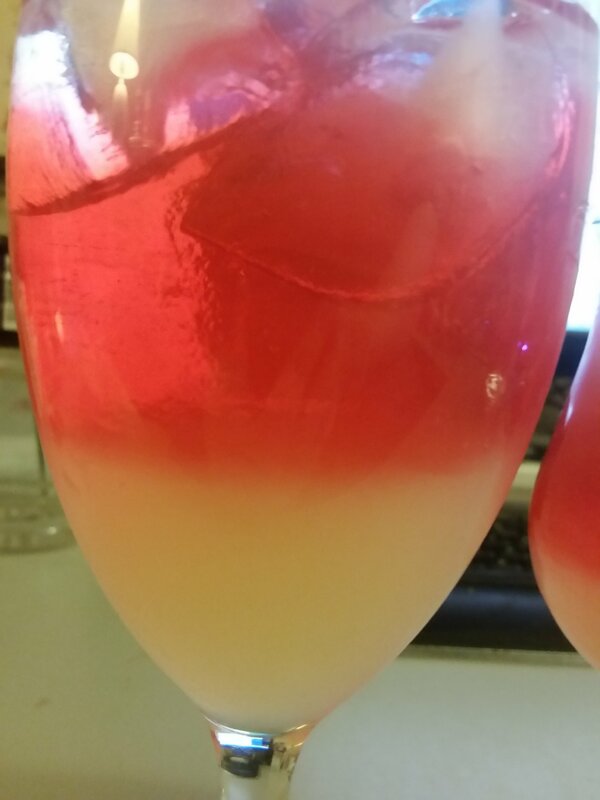 It is surrounded by glowing flame, with lines of power radiating outwards. It leans forward in a ferocious howl, ready to burn anything that would even dare to confront it to ash. The Base Set Charizard was once considered the most sought after card in the TCG. With an overwhelming 120 HP, a devastating 100 damage attack, and an ability that allows any Energy cards attached to it to be used as Fire energy, it’s easy to see why. 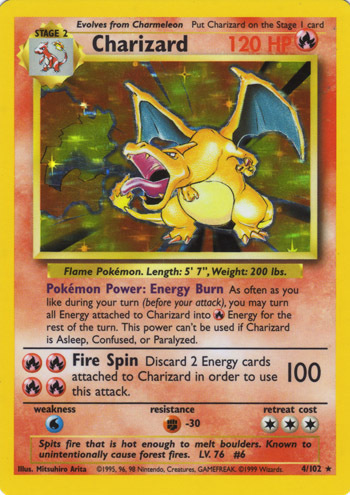 Its rarity aside, Charizard is an impressive card that guarantees huge quantities of damage – but at what cost? A staggering four Energy cost, along with a mandatory two Energy discard, severely undercuts Charizard’s ability to be a viable card. Add in the fact that Charizard is a Stage 2 card, requiring both Charmander and Charmeleon to be added to the deck, makes getting Charizard out in time to win unlikely. When drawn in a reading, Charizard is a reminder of the penalties of greed, the benefits of overwhelming power, and a reminder to go through your Tarot deck and make sure you didn’t get any other weird cards mixed up in there. CHATTER: Merry Ratsmas from Eggware! Here at Eggware Zone, things have been stressful. With a lot of bills to pay and a lot of very tiny screaming mouths to feed, it gets hard to just relax and have a good time during the Holidays. CHATTER: Happy Holidays from Eggware! Even though Christmas Day may be ending tonight, we here at Eggware are so dedicated to the holidays that we will be celebrating them for an indefinite amount of time. Though this is partially because the Christmas sale season made us busy with our side jobs, this is also because we wish to share a little extra cheer for those who may not be able to celebrate the holidays, whether because of being busy or because of difficult home situations. We hope that for those who were not able to have a truly jolly Christmas, we will help them feel the spirit of the season long after the day itself has passed. For the next month and maybe more, we’ll be reviewing old holiday specials, reviewing seasonal food, and generally celebrating the spirit of winter. Up here at Eggware HQ, the winter doesn’t end very soon, so we feel that the end of the holiday spirit in January is unnecessary and abrupt.